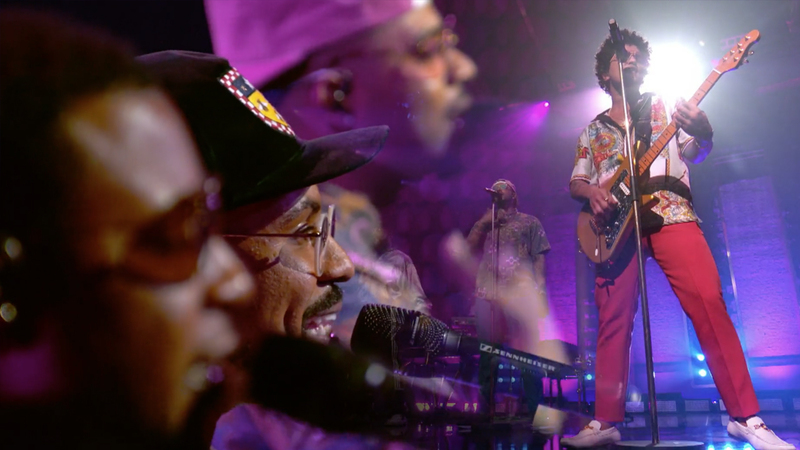 Multiple GRAMMY Award-winning singer, songwriter, producer, director, musician, two-time Super Bowl Halftime performer, and Ernie Ball Music Man artist Bruno Mars performed in his first primetime television special last night with “Bruno Mars: 24K Magic Live At The Apollo” on CBS. 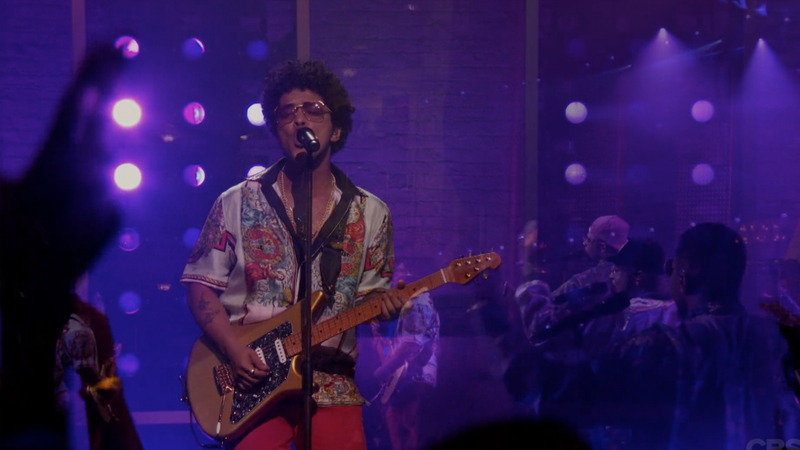 This electrifying special was taped at the legendary Apollo Theater in New York City, where Bruno kicked off the special in spectacular style, with an epic performance atop the Apollo’s landmark marquee. Also, Bruno and his band the Hooligans took to the streets, visiting, singing and entertaining locals in exciting, intimate, must-see moments. The special, which will continue to tape in the coming weeks, features exhilarating, never-before-seen stage performances throughout the broadcast. Watch the entire first episode broadcast here. 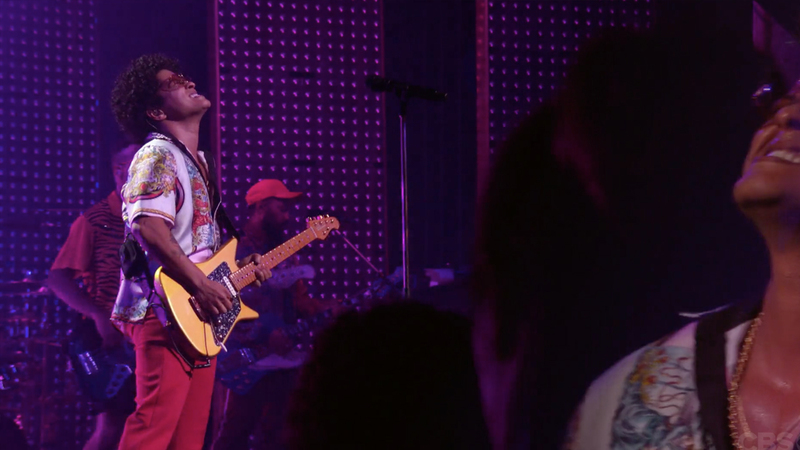 During the performance of “Calling All My Lovelies” on tour and during his special, Bruno plays a custom “24k” colored Ernie Ball Music Man Albert Lee electric guitar. With its unique retro modern design and stunning array of vintage single coils options, the Albert Lee is one versatile instrument. Lightweight, comfortable and perfectly balanced players will appreciate its fit, form and function. Sporting a southern swamp ash body, figured maple neck and a trio of custom pickups, this guitar is the the perfect choice for guitarists who want brilliant high-pitched twang or smooth throaty tone wrapped up in a hum-free electronic package. Whether you are looking for twang or shine, grit or grease, the Albert Lee delivers, covering a wide ranging sonic palette all at the flick of the switch. Bruno plays Ernie Ball Regular Slinky electric guitar strings.